Hey remember when I said Spring was in the air? That was a funny joke. The outside environment is now a biting, numbing, chill-to-your-bones cold. Don't let the sunshine fool you. That's just another example of March being a tease, the way it is year after year. Le sigh. 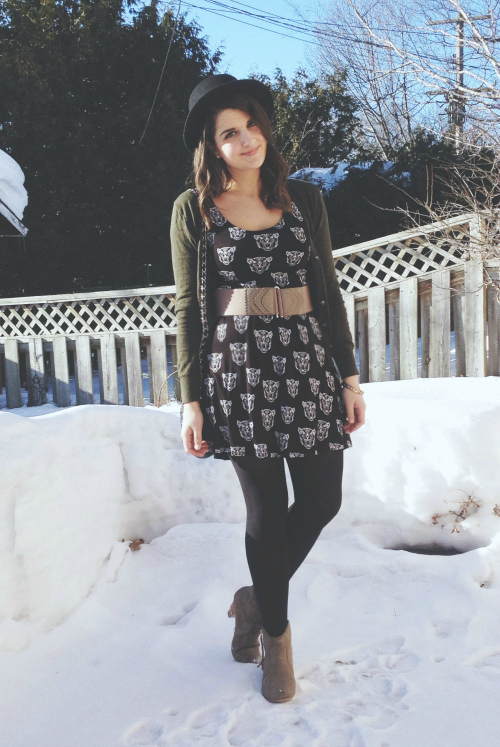 Winter really is going out like a tiger this year, heh heh heh (I know that isn't the actual saying- I'm wearing a tiger dress, let me have this one). This dress is one of my absolute favourites! I got lots of wear out if it throughout the summer, but I hadn't thought to layer it for winter weather until yesterday! 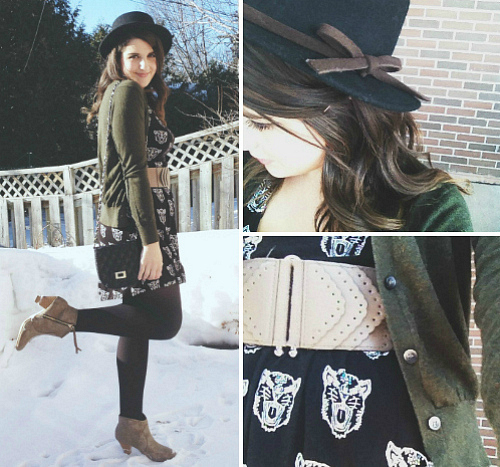 I'm so glad I did, because it goes well with everything (especially, as it turns out, these boots I got for $10)! Life has been pretty simmy this past little while! I've been working up a storm and watching lots of House of Cards with Mike (it's his second time watching). I am absolutely hooked. I'm determined to finish season 2 before he has to go out of town this weekend. Hope you are all dealing with the cold better than I am! Or better yet, I hope you are living in lovely warm climates where you don't have to concern yourself with matters such as snow, wind chill, and the lake effect *shudder* (no seriously, I am constantly shuddering)! Thanks for reading, lovely friends! 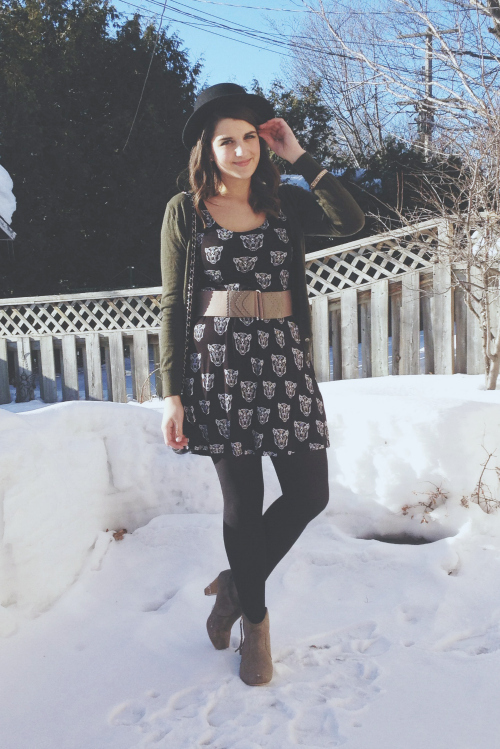 loving the print on your dress and the way you styled it! i am hooked on house of cards season 2 as well -- i have 3 more episodes left to watch!